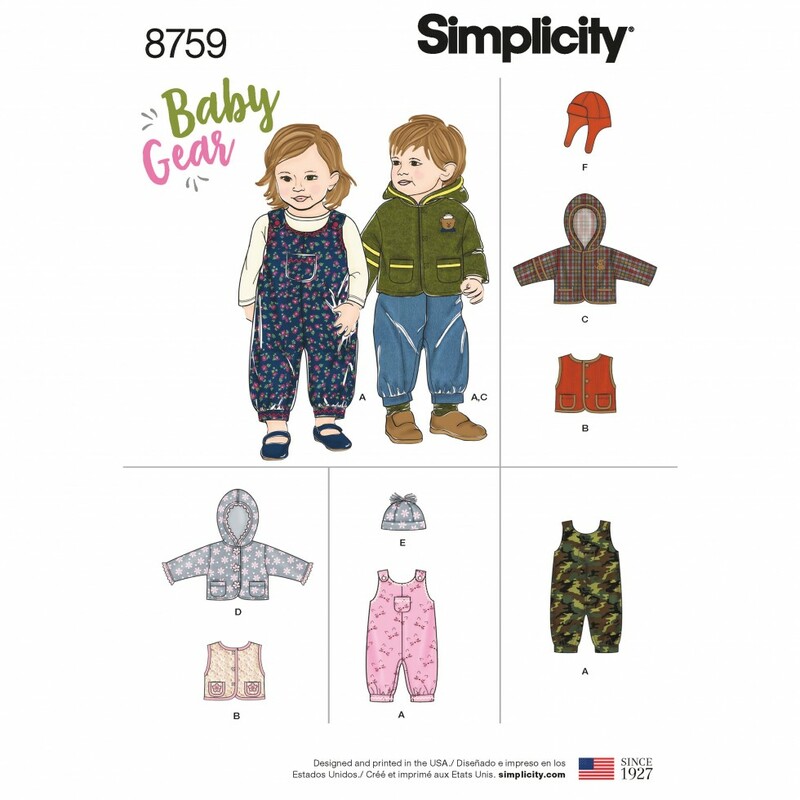 Be prepared this winter with Simplicitys adorable baby gear. Pattern includes overalls, a vest with lining, and a jacket with ribbon/contrast. Beanie or an earflap hat available as accessories. Simplicity sewing pattern.